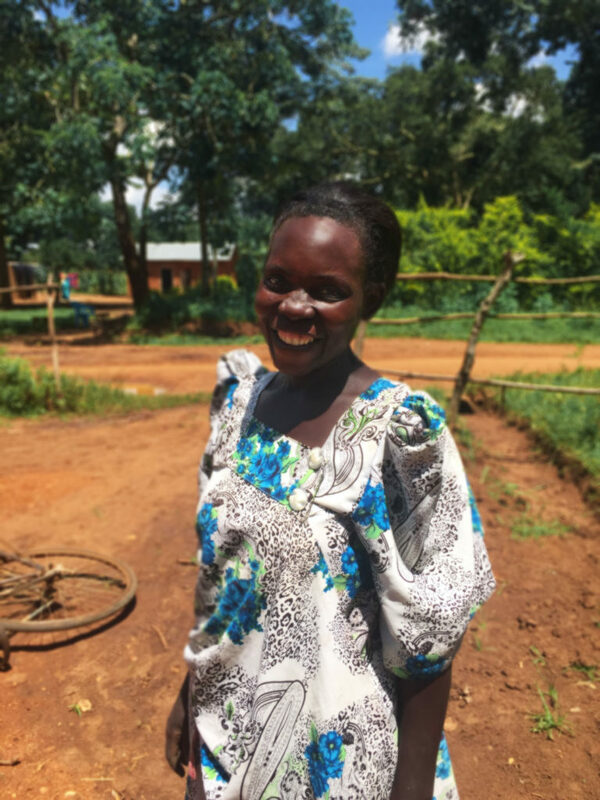 Rose Mutensi danced as a Lifewater staff member approached her village. “Thank you, Lifewater, thank you!” she said. 42-year-old Rose of Kamanya village is a mother of eight children, local water committee member, and health advocate in her district. Water Committee members like Rose are vital to sustaining the life-giving safe water in every community. Communities that make their own investments in clean water and health improvements are more likely to experience lasting change. One way villages invest in their own community is through forming a local water committee. Through Lifewater’s Vision of a Healthy Village approach, every village must have a water committee established before construction begins on their safe water source. Together, villages determine respected leaders responsible for collecting user fees, managing the new water source, and scheduling hours when the water may be utilized by the community. Women are the most knowledgeable about water collection, so they hold at least 50% of the seats. Rose was selected by neighbors for her exceptional leadership and her charming personality, and she began leading a committee in Kamanya village in 2004. Rose Mutensi poses for a photo in her village. “I make decisions after consulting the other seven members of the committee and voice the feedback of the entire team,” she said. Although the village’s well had broken down when Lifewater found Kamanya village in 2016, Rose had maintained the water committee, advocating for health in her district and problem-solving for safe water sources in her community. The well was still producing some water in 2016, but it was brown and contaminated; the area around the deep well was shared with animals. It was also producing far less water than was necessary for the village. “Can you imagine it would take 15 minutes for a 20-liter jerry can to fill up, yet it served a very big population in this community?” she said. Today, their rehabilitated well pumps safe water for over 200 people in the village. 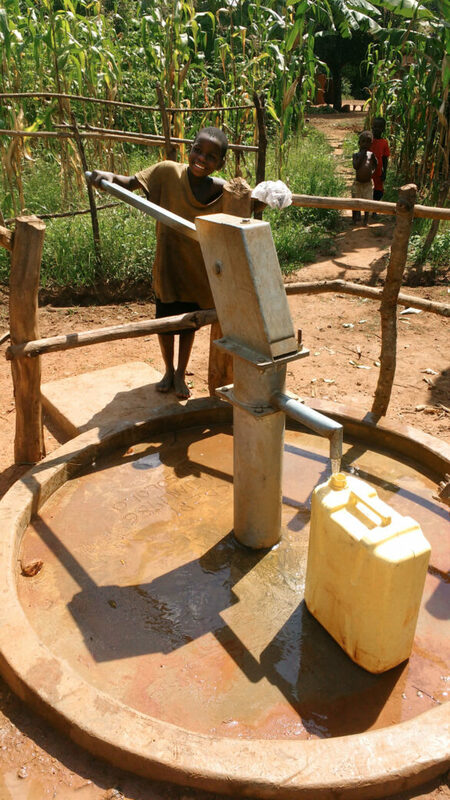 The rehabilitated well in Kamanya village, Uganda. In May, Kamanya village was recognized by the Uganda Ministry of Health as an Open Defecation Free Village (ODF). This is the highest government recognition that a village can receive. It means that every single household is using a latrine with a door and a roof, and that feces no longer contaminate their food and water. “Lifewater not only cares for our souls, but for our physical health,” Rose said. There are two more water points scheduled for Rose’s large village. Meanwhile, health promoters (local leaders trained to teach healthy habits to their neighbors) are actively visiting each home. To date, 87% of the homes are practicing five health habits for improved sanitation and hygiene. Kamanya village’s success can be contributed largely to Rose’s leadership and to her fellow water committee members, whose wisdom and local influence unite their community. They are creating lasting change. Rose and her fellow water committee members are in charge of collecting user fees from each household to be stored in a savings account in the event that their water source needs repair. Currently, they have $26.46 in their account, a significant amount for families making less than $2 a day. Without her kind-hearted but strong leadership, Kamanya village would not be the thriving community that it is today.